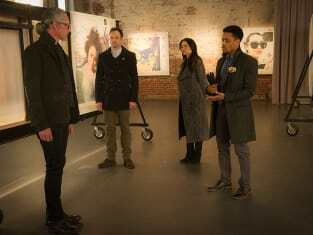 A woman's death may be linked to a piece of artwork on Elementary. "Art Imitates Art" is the 20th episode of the show's fourth season. 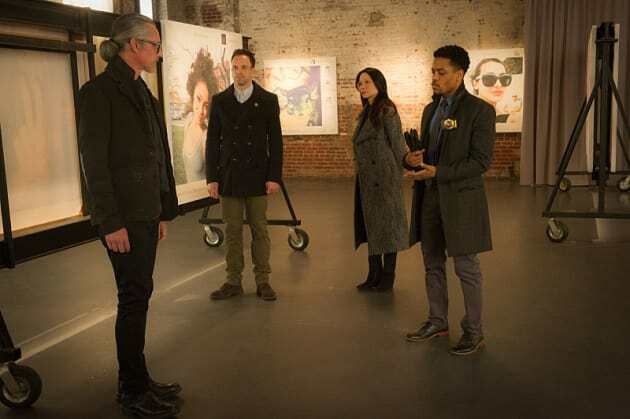 Elementary Season 4 Episode 20: "Art Imitates Art"
So this guy rips off other people's selfies, blows them up, and charges a hundred grand apiece? Surprised I"m not investigating *his* murder. We'd show you the crime scene photographs, but you'd probably just "recontextualize" them. Permalink: We'd show you the crime scene photographs, but you'd probably just "recontextualize" them.